This is touted by the beef industry as great news for the cattle industry. If that is true, then cattle prices should have increased over the same period. After all, according to the beef industry, increasing beef demand means good prices for retail beef, which will, like water, trickle down to reward every sector of the beef supply chain, including the live cattle producer. But that did not happen. 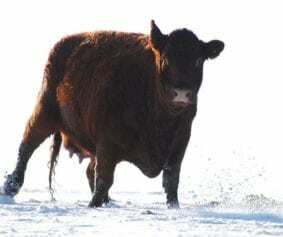 Instead, fed cattle price fell nearly 5 percent during the same period that beef demand increased 15 percent. This is an inverse relationship – exactly opposite of what a competitive market would dictate. This indicates something is terribly wrong with the structure of the cattle industry’s markets. The 2012 average 5-area fed cattle price of $122.96 per cwt should have increased in 2018 rather than decrease to a $117 per cwt price (through November). While beef demand is not a measure of actual beef consumption, it does measure consumers’ willingness to purchase the available supply of beef at various prices. So, as retail beef prices increase while beef supplies increase, the beef demand measure also increases. The fact that retail beef prices have increased is widely known. Retail beef prices increased dramatically, during that period by about a dollar per pound. All fresh retail beef prices increased from about $4.69 per pound in 2012 to about $5.69 per pound in 2018 (through November). What is less known is that while domestic beef production declined by more than 2.2 billion pounds from 2012 through 2015, fueling the historic cattle price rally of 2013 through 2014, the beef industry tried to stop that rally by dramatically increasing imports of beef and cattle in 2014 and 2015. And stop it they did. When these near record imports were added to domestic production, the decline in domestic beef production was substantially offset by the dramatic increase in imports, which by the beginning of 2015 had effectively eliminated the competitive forces that were driving cattle prices upward. Expectedly, cattle prices collapsed under the weight of near-record imports and in the ensuing years (2016-2018), a combination of increased domestic production and continued high import levels caused total beef supplies to eventually exceed 2012 levels. So, yes, beef supplies did increase while consumers continued paying higher prices for beef, causing beef demand to increase by an impressive 15 percent. Cattle prices, however, continue to suffer from the ongoing pressure of undifferentiated imports, which are direct substitutes for domestic supplies. These imports effectively increase the total beef supply in the U.S.; but even so, retail beef prices remain strong. In fact, the spread between the price cattle producers receive for their cattle and what consumers are willing to pay for beef is now the widest in history. In 2012, that spread was $2.39 per pound. In 2018, it was $5.91 per pound (through November). This informs us that someone along the beef supply chain is now receiving a substantial share of the revenues from beef sales that used to flow to cattle producers. In other words, there is now a dam somewhere across the cattle or beef supply chains that is preventing revenues from trickling down to cattle producers, as would be the case in a competitive market. 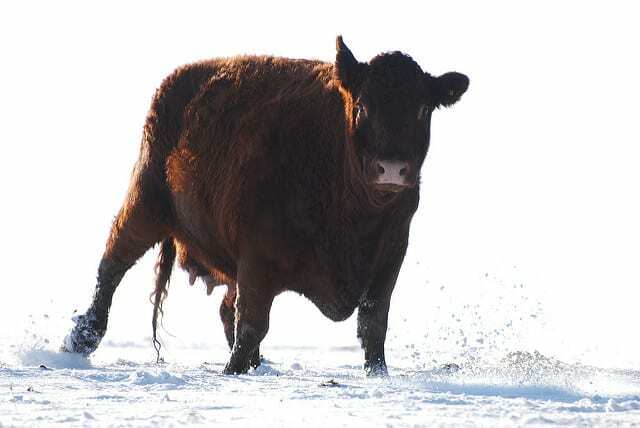 The important point for cattle producers reading this piece is that the someone who has captured more than their competitive share from the value of beef – Is Not You! For several years now the beef packers have been capturing unprecedented margins. This is because cattle prices remained unresponsive to increasing beef demand. In fact, retail beef prices have remained at or near the same levels they were four years ago, when fed cattle prices were around $160 per cwt and lighter feeder cattle prices were well over $200 per cwt. Why cattle producers and their conventional trade associations would remain complacent, indeed silent, while this inexplicable circumstance exists is mindboggling. But, then, perhaps the entire beef industry, along with the beef industry’s favorite media outlets, have thoroughly conditioned America’s cattle producers to follow their lead by exclusively focusing on increasing beef demand. It is time for some serious, critical thinking about the structure of the cattle market by cattle producers . . . before it is too late.